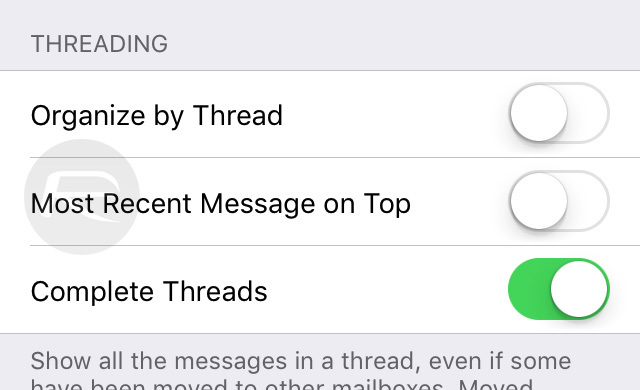 Here’s what you need to know about fixing iOS 10 Mail threading layout on your iPhone, iPad or iPod touch. Apple’s stock Mail app is likely to be one of the most used app on an iPhone or iPad. It’s probably fair to suggest that the average user finds the app capable and powerful enough to handle basic email needs, and therefore doesn’t head into the App Store to find a third-party solution that ships with additional features. With each major release of iOS, the company takes the opportunity to make changes to first-party apps, and it seems that iOS 10 has introduced some weird email threading behavior/layout that goes against how most users would expect it to function. 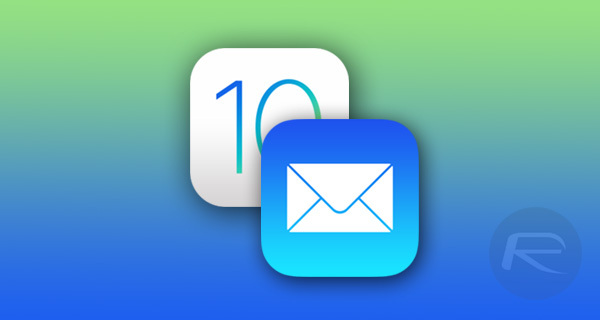 With the reasons known only to Apple, it seems that engineers have changed how the iOS 10 Mail app functions in certain aspects, with one of the key changes being the fact that the threading system now makes sure that the oldest messages are displayed first in a list of mails. In speaking for the majority of the iOS populous, it doesn’t really make sense for the app to function in this format, unless of course, you’re the type of person who likes to punish themselves by scrolling through large chains of emails to get to the most recent relevant one. Thankfully, all is not lost, and as is quite often the case, a change in expected behavior in an app can often be fixed with a simple setting that isn’t immediately put before the user’s eyes, or placed in a position that’s instantly intuitive. In fact, for some users, the change may not have even registered properly, with iPhone and iPad users happily enjoying iOS 10 without giving it a second thought. If you do want to make sure that the Mail app behavior reverts back to how we would expect, then you can launch the Settings.app and navigate to Mail, and under the Threading header, simply toggle the switch to ON for Most Recent Message on Top option. This will ensure that threaded conversations in the iOS 10 Mail app show the most recent messages first from now on. We’re not exactly sure why Apple made this change, and whether it’s based on any type of user testing or feedback from users interacting with previous versions of iOS, but at least the company has provided an easy to find and easy to fix method to revert back to the old behavior. You posted to wrong thread. This has nothing to do with bugs.